It’s our brand, our identity – which means it’s everything. Our clients run complex businesses in highly competitive markets – I am passionate about building a trusted advisor relationship with our clients’ shareholders and management teams so they can focus on what matters most: running their business. Mike Kelley is a Senior Vice President focused on originating and executing deals in Aerospace & Defense. Previously with General Electric for over a decade, his career has spanned M&A advisory, debt markets, corporate finance leadership and corporate development buy-side for several transactions over $1 billion. Through his career, Mike has provided leadership for M&A, debt and capital structuring transactions for over 200 companies, primarily in industrial market segments. Within the Aerospace & Defense market, Mike has worked on several high profile transactions including GE’s 2007 acquisition of Smith’s Aerospace and the company’s later avionics joint venture with China’s AVIC. 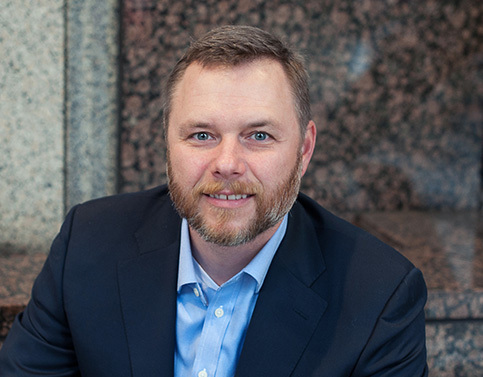 Mike is a Senior Vice President at Cascadia Capital focusing on Aerospace & Defense industry coverage and transaction execution leadership for M&A and capital raises. Prior to Cascadia Capital, Mike worked at GE for 11 years where he executed deals for the Corporate M&A team and GE Capital. Mike was named a 40-under-40 by M&A Advisor magazine and is a graduate of Stanford’s Graduate School of Business where he was a Sloan Fellow. He holds a B.S. in Finance from the University of Missouri. Developed a world view of business by working in 16 countries. Named a 40-Under-40 by M&A Advisor magazine. Sloan Fellow at Stanford’s Graduate School of Business. Spending time with my wife and three young sons, Bayler and Camden, and our giant Bernese Mountain Dog. Enjoying the rugged beauty of the outdoors in the US West Coast.